A native of Wisconsin, Dr. Schwarting came to California in 1972 to found Del Rey Dental™, after a two-year tour of duty with the Army Dental Corps. Prior to that, he completed pre-dental studies at the University of Wisconsin and earned his dental degree from Marquette University in 1970. Over the past 45 years, he has earned high levels of respect within his profession, as a member of the California and American Dental Associations and the Western Los Angeles Dental Society. In 2000 Dr. Schwarting completed a year long cosmetic residency to stay a breast of current technology and smile design. Dr. Schwarting developed the Lennox Mobile Dental Clinic serving over 5,000 needy children. This mobile unit built and financed by Dr. Schwarting was the first of its kind in California and has been donated to the USC Dental School. Dr. Schwarting is a member and past president of the Airport Lions Club and a member of the Board of managers of the YMCA. He also is active in Boy Scouts and Little League. Dr. Allison Wilson went to Amherst College where she played softball and received honors for her thesis in American studies. After college she attended dental school at New York University and graduated in 2005. During her senior year in dental school she was part of the Lincoln Hospital Honors Residency where she served medically comprised patients in the Bronx, NY community. After 8 years on the east coast, Dr. Allison returned to her home in Southern California to join her father in practice at Del Rey Dental™. Like her father she immediately joined a cosmetic residency to provide updated clinical services to Del Rey Dental™ patients. Dr. Schwarting is also a certified Invisalign doctor. She is a member of the West L.A. Dental Society, Academy of General Dentistry and Academy of Cosmetic Dentistry. She is in the process of becoming board certified by both academies. Dr. Tom Cyr was born and raised in Seattle. After attending Pomona College in Claremont, he returned to the Pacific Northwest, graduating from the University of Washington School of Dentistry in 1990. After earning his degree, Dr Cyr started and grew a thriving (private) practice near Seattle where he found deep satisfaction caring for his patients in all aspects of dentistry/varying dental needs. He especially enjoyed getting to know his patients. After twenty-five gratifying years of practicing dentistry and raising three children, Southern California beckoned. Dr Cyr and his wife Suzy returned to be closer to her family in Palos Verdes. It was hard to sell the practice and say goodbye to so many longtime patients but they both love being back in the South Bay, close to the ocean, family and bathed in the sun. A trial retirement proved to be short lived when Dr. Cyr found himself missing dentistry and the stimulation of a busy dental practice. He was delighted to find excellence at Del Rey Dental and joined the practice in March of 2018. Dr Cyr brings a wide ranging skill set to Del Rey Dental, expanding the range of procedures the practice offers. He places implants, performs endodontics (root canal treatment), full orthodontics (braces and removable) and advanced restorative reconstruction. He also treats TMD (TMJ problems) in addition to crowns, bridges, partials, cosmetic treatments and smile design. 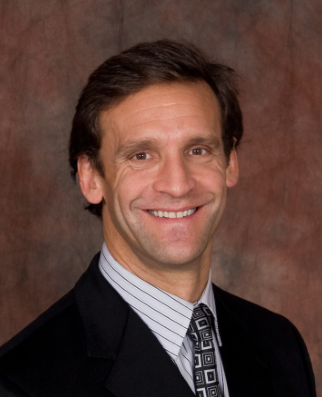 What sets Dr Cyr apart is his positive attitude, calm demeanor, patience, and gentle touch. He views each patient as a very special person, earning their trust through his compassion and expertise. Dr. Cyr commits himself to the very finest dental care for every single patient. Continuing education is a vital part of Dr. Cyr’s practice, enabling him to keep up with technical advances and the latest techniques. To that end, he has earned well over two thousand hours of continuing education credit. He is also a cofounder of two dental study clubs and continues an educational legacy through study club teaching and lecturing. When he is not helping patients in the office practicing dentistry, Dr. Cyr enjoys surfing, cycling, competing in triathlons, hiking and scuba diving. He also keeps up with a life-long love of stringed instruments and tries to keep limber on his cello and various types of mandolins which he has collected from around the world.